Companies often need to remove or strip paint and other coatings from parts for various reasons. 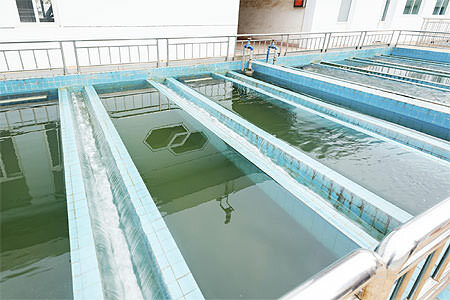 The components being stripped are often soaked in tanks that contain chemicals. The material that is removed in this stripping process forms a sludge in these tanks and that sludge must be removed on a regular basis. The longer the sludge stays in the chemicals, the less effective the process will become. Filtering / separating and removing the sludge from the chemical stripping fluid is important for the longevity and effectiveness of the chemicals. Also, the cleaner the stripping fluid baths are, the cleaner the parts being soaked will get. Thus, it is critical that the chemical stripping fluid baths are cleaned and purged for proper operation. See our video of the Dump Cycle from cleaning a 6,000 gallon Zinc Phosphate Tank. CentraSep Centrifuges offers a chemical stripping bath fluid filtration system that drastically reduces the regular maintenance needed for chemical stripping fluid. By properly filtering the sludge from your chemical stripping fluids, you maintain a cleaner fluid, reduce the need for purging your chemicals, and maintain a dependable production by eliminating downtime. CentraSep Centrifuges installed their first chemical stripping bath fluid filtration and separation centrifuge in 2002. Since that time, CentraSep Centrifuges has become the preferred solution for filtering and separating chemical stripping fluid sludge and is considered part of the “Best Practices” of leading stripping facilities around the world. CentraSep Centrifuges can offer you savings in labor expenses, filter media purchasing costs, inventory and disposal fees, and stripping fluid / chemical replacement costs. CentraSep Centrifuges is the proven leader in chemical stripping fluid filtration. Since 1981, CentraSep Centrifuges has specialized in solving problems through application engineering. Nowhere is this problem-solving approach more apparent than with the CentraSep centrifuge, which was developed after listening to customer challenges and needs with the filtration, separation, and maintenance of chemical stripping fluids. Contact us today to see how we can help you with your chemical stripping bath fluid filtration application. Talk to one of our Engineers today to see how we can help with your chemical stripping bath fluids filtration and separation needs.